With its bold claims of Asian representation, the Hollywood film extravaganza Crazy Rich Asians was destined for intense scrutiny, coming as it does after bitter debates about whitewashing and "yellowface" casting - where white actors attempt to make themselves look Asian. But like the proverbial "tiger mum", many Asians have huge expectations for the film - might the weight of it all prove too much? A wealthy elite, backstabbing intrigue, and a grand romance set in a gilded world of opulence. Last weekend, a record-breaking half a billion people in China tuned in online to watch their very own crazy rich Asian drama, The Story of Yanxi Palace. It's not just Chinese soap operas that are doing well these days. From Bollywood films to Korean dramas to Thai cinema, entertainment made by Asians and starring Asians is thriving like never before. So when Crazy Rich Asians opens in Asia next week, its claims as a flag bearer for Asian representation may baffle some. The film, whose cast is entirely Asian, tells a Cinderella-like story: an ordinary Asian-American woman gets swept up in the glamorous world of the uber-elite Chinese when she travels to Singapore to meet her boyfriend's family. For Asian-Americans, who up till now only had the 1993 movie Joy Luck Club as their cultural touchstone, Crazy Rich Asians is understandably a huge deal. The New York Times has hailed it a "cinematic Halley's comet", one carrying a whole community's hopes for greater representation in mainstream US culture. The movie doesn't just affirm Asian-Americans' experience as a minority in the US. It's also a direct repudiation of Hollywood's long tradition of sidelining Asians, whether it's casting them in stereotypical roles of the inscrutable sidekick or femme fatale, or doing yellowface. But across the Pacific, in a rising and confident Asia, these concerns may hardly resonate, if at all. Asians here have long had their own representation in Asian entertainment, which is growing increasingly successful and accessible across the region thanks to the internet. This is a world where Hollywood tends to play second fiddle. It may be why whitewashing, which is when white actors take Asian roles, appears to be less of a concern, with Asian press and social media often slower to pick up the debate compared to the West. The furore that erupted in the US when Scarlett Johansson was cast as the lead in the Hollywood live-action remake of Japanese anime Ghost in the Shell was largely met with a shrug in Japan, for instance. Media caption Is Hollywood whitewashing? "Hollywood whitewashing is not an issue that most Japanese people in Japan care about. Why? They see themselves represented in Japanese media all the time," said one viewer quoted in a Screen Daily report. It's not that Asians in Asia don't care at all about being authentically represented in Hollywood. Tellingly, another Japanese viewer told The Hollywood Reporter that it was "better" to have made Johansson's character white as it "would be worse [if it had been] someone from another Asian country pretending to be Japanese". This is exactly what happened with the 2005 film Memoirs of a Geisha, which was met with a monumental backlash when it cast Chinese actresses as Japanese characters - an unforgivable sin to some, given the two countries' bitter history. 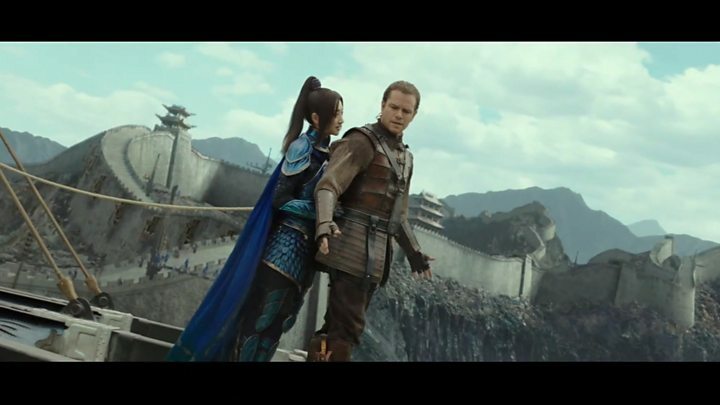 Movies like Eat Pray Love and The Best Exotic Marigold Hotel have been slammed by Indian reviewers for "brimming over with clichés" about India, while fantasy action flick The Great Wall also had some Chinese rolling their eyes - not so much for its casting of Matt Damon in a controversial "white saviour" role, but more for its tokenistic representation of China. "The Chinese element has basically been reduced to sky lanterns, Chinese military armour, the Great Wall, and other symbols of Eastern culture," complained one critic. Many of these controversies, of course, could be attributed to specific historical sensitivities and cultural issues. And which country in the world wouldn't feel protective of its depiction by outsiders, let alone Hollywood with its unsurpassed global reach? But perhaps authenticity in such instances means more than just an Asian cast and story. It's also about paying respect to the particular complexities, complicated intertwined histories, and the values a country or region holds dear. In other words, if Hollywood treads on our turf and "does Asia", it better do it right. Set in Singapore with a story about a Chinese family, Crazy Rich Asians and its bold - some say overreaching - claims of representations has inevitably ended up as something of a lightning rod for such expectations. Its focus on East Asian faces immediately provoked complaints of its lack of diversity from Americans of South and South East Asian heritage, and the Twitter hashtag #BrownAsiansExist was created. It's a sentiment shared by some in Singapore, where race is a particularly pointed issue. The Chinese-majority country, which has significant Malay, Indian and Eurasian communities, has a history of race riots and strictly enforces multiculturalism through race-based policies. But some minority-race Singaporeans say casual racism is still an issue. Then there is the film's unabashed celebration of wealth, which comes at a time where Singapore faces a large inequality gap. "This movie is opening smack in the middle of our ongoing conversations about privilege, poverty and social mobility. It's a stark juxtaposition and may come as a rude shock for some," political scientist Dr Ian Chong told the BBC. Given that this is the most prominent Hollywood outing yet for the country, many are also scrutinising the film for its Singaporean authenticity. The cast of the movie is dominated by Asian-Americans and British East Asians, with Singaporean actors mostly in supporting roles. Singaporean cast members have also said they were told to use less Singlish, Singapore's unique brand of English and a central marker of identity; and the movie trailer featured almost no Singaporean accents. Some have taken these as worrying signs that Crazy Rich Asians, in its eagerness to further its representation goals, is misrepresenting Singapore and using it as a mere "backdrop" for Asian-American fantasies. "What grates on me the most is that many Asian-Americans I've encountered online are championing this as a triumph for representation, but also dispensing with the need to accurately draw from the setting and history of the place the film's set in," magazine editor Ruby Thiagarajan told the BBC. Part of it has to do with an overall anxiety over 53-year-old Singapore's national identity, or its perceived lack of it. "We are a young country, and many narratives of national identity - Singapore is not Malaysia nor China, we are no longer a fishing village - involve being defined in the negative. This begs the question: what then makes a Singaporean in the positive sense?" said Dr Chong. For a society of only six million people, the country has a remarkably diverse mix of races, cultures, languages and religions. "Singapore has many worlds," said film critic John Lui. "We are forging our own pop culture that is a melting pot, but it is happening very slowly." But is it fair to saddle Crazy Rich Asians with all of these "crazy" Asian expectations? Some say yes. Activist Kirsten Han has pointed out that since the film "markets itself as a representation win" for Asians, "it shouldn't be surprising that Singaporeans, too, expect thoughtfulness and authenticity and representation". Recently, some involved in the movie have tried to address such concerns. Director Jon M Chu said it would be "ridiculous" for one movie to represent all Asians, while lead actress Constance Wu acknowledged that the film "won't represent every Asian-American". It's an approach which some may feel is disingenuous. "The movie does want to have it both ways. They say they are winning a victory for Asian-Americans, but they're also saying they don't want to have that burden of South Asian representation, for instance. So it's a bit hypocritical of them," Mr Lui told the BBC. But others believe that to expect so much from the film is, in a way, practising double standards. "What does it mean that Crazy Rich Asians must accommodate simultaneous, conflicting demands... when other movies, starring white leads, are asked only to tell a single story convincingly?" said Asian-American writer Jiayang Fan. If a film strives for representation, how far down the rabbit hole of authenticity should it go? And how much of it can a viewer reasonably demand from a Hollywood movie, a product of artifice whose main business is to peddle fantasy? These were just some of the questions I found myself struggling with at a recent advance screening, anxiously dreading this portrayal of my country on screen. Without giving anything away, I'll just say these may be questions simply too big and exhausting to ask of a fluffy romantic comedy. And let's face it, they probably won't be foremost in the minds of many cinema-goers in Asia when the film opens here next week. So for two hours I allowed myself to be swept up in the Hollywood spectacle. Like everyone else, I just wanted a good time at the movies.